Alongside a new PS4 Slim model, last week Sony also announced a new PS4 Pro model to be released in November for $399. One of the key features of this mid-cycle hardware upgrade is that this new console will offer 4K ultra high definition resolution, along with the expanded colorspace of the ultra high definition format that allows for native HDR. Alas, according to Sony’s announcement, the PS4 Pro will not play 4K UHD discs. Now, a lot has been made of this lack of 4K UHD disc support over these past 24 hours and many fans are disappointed. Expectedly so, but… there is more to this story than you might suspect. Before you dismiss the PS4 Pro out of hand, let me fill you in on a few things that you may not be aware of, because they have been hardly discussed in public so far. The 4K UHD disc format is actually a standard Blu-Ray format. When the Blu-Ray specs were devised, it allowed for a large number of layers on a disc to accommodate the voracious, ever-growing storage needs of digital media. The format was designed with the future in mind. While, in practice, so far no real application has been out there, to the best of my knowledge, that used more than two or three layers, there are plenty of provisions in place to create discs with four, five, six or even more layers on a single disc. And it is this feature that is being used on 4K UHD discs. At heart, they are still only Blu-Ray discs, just with more storage, differently encoded video files on them and a slightly different menuing system that accommodates new features. As a result, any Blu-Ray drive that properly follows the Blu-Ray specifications should theoretically be able to read these discs. (Note that I said read, not play.) Now, in the real world, because these additional layers have not been used before, there are, of course, low-cost drives out in the market that do not support the feature—a result of cost cutting measures. However, every modern Blu-Ray drive does well to integrate the capability to read additional layers. I am sure, most manufacturers have complied with those specs for some time now and I have absolutely no doubt that the drives found in the upcoming PS4 Pro will be able to read these high density Blu-Ray discs with absolutely no problem. So, to be clear, from a technical standpoint, there is no difference between a regular Blu-Ray disc and a 4K UHD disc. In fact, they are authored the same way and they are replicated the same way. In fact, they are replicated on the exact same machines. It was one of the appeals that the 4K UHD format had for studios that existing production lines could be used to manufacture and replicate these next generation discs, making them very cheap to produce right out of the gates. So, why doesn’t the PS4 Pro support 4K UHD discs? The answer to that may lie in Sony’s Consumer Electronics division. At this time, Sony is preparing the launch of a series of settop 4K UHD players. Naturally, the company wants these players to succeed. They want to sell them in quantities that makes the company proud. If they would add 4K UHD capabilities to the PS4 Pro, many people would simply forgo a settop player and use the PS4 Pro as their player of choice, the way they did when the PS3 first arrived, complete with Blu-Ray capabilities. Only this time they don’t have a format war to win (remember, Blu-Ray competed heavily against HD-DVD at the time and the PS3 was essentially the format’s secret weapon that decided the war), so there is no need for them to cannibalize their own divisions. When it comes right down to it, the lack of 4K UHD disc support is simply a business decision that actually makes sense for the company. Why? Because this is not the end of the story. At this time, I have to admit that the PS3 is still my preferred Blu-Ray player of choice. The reason is simple. Unlike settop players, Sony made sure the PS3 always kept up with improvements and innovations in the Blu-Ray format. When DTS-HD Master Audio arrived, all they did was give users a firmware update and voilà, you could suddenly play DTS-HD Master Audio tracks. When Blu-Ray 3D came around, it took only a firmware upgrade for viewers to enjoy their 3D content. The list of capabilities they added via simple firmware updates was truly impressive throughout the years. There is absolutely no doubt in my mind that we will see the same kind of commitment to unlocking features-as-you-go when it comes to the PS4 Pro and 4K UHD discs. 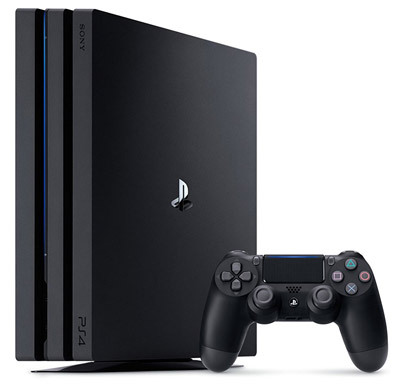 When the company has safely shipped settop players to stores and has seen them sell through, you will find a firmware update on your PS4 that will suddenly enable 4K UHD disc playback. Is it possible? It is not only possible. It is extremely likely. There is no technical limitation. The PS4 Pro is capable of decoding and displaying full 4K UHD video streams with HDR, and the console is capable of reading Blu-Ray discs. That is all the hardware capability you need to play 4K UHD discs. Everything else is merely software to facilitate the data transport from the disc to the display logic and to handle things such as disc menus etc, all of which follow established Blu-Ray specifications, only at a higher resolution and in an extended colorspace. So, once again, before you dismiss the PS4 Pro as a failure and as a no-purchase because it doesn’t support 4K UHD discs, think again. This limitation will be only temporary and its solution will be a mere firmware update away. With that in mind, perhaps it is time for you to stop over on Amazon’s website and pre-order your PS4 Pro? Visibility. The biggest problem mobile games face in the current climate. Every game. Every publisher. The difference is that publishers like Supercell can buy their audience with excessive advertising, premier placement and Arnold Schwarzenegger. Most mobile developers do not have that luxury. Most developers have no exposure whatsoever. If you have only one, two or three mobile games in your portfolio, you don’t even have the ability to leverage your own games against each other, because you simply do not have the necessary visibility to drive traffic, and as a result, you’re not really making any money. And don’t be fooled. The quality of a game is ultimately irrelevant. You can have the best game in the world, but if no one knows about it, it won’t make you any money. There is no such thing as “a good game will always find an audience.” It is a myth. As I mentioned at other times, I am working with Gigataur these days, a Canadian mobile developer/publisher. 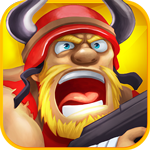 In that capacity, I am looking for such undiscovered games so that we can republish them through our Playmium line and generate actual money for their developers. 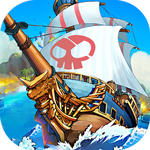 As I did last month, I have compiled a list here, of some noteworthy games I came across during my voyages through the world of Google Play and the App Store. 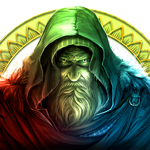 If you are looking for a cool strategy game that has depth and an identity of its own, look no further than Bonus XP’s “The Incorruptibles.” The game is impressive and chock full of features that deepen the experience, reminding one of the golden age of strategy games. It should not come as a surprise, because you can easily tell that some of the brightest minds of the strategy game genre are behind this game, with decades of experience, building games such as “Sid Meier’s Civilization” and the “Age of Empires” series. 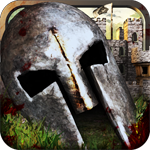 While we’re on the subject of strategy games, Plarium is always doing stuff on the highest level of quality when it comes to the genre on mobile platforms. Don’t let the beautiful presentation of “Vikings” fool you, however. 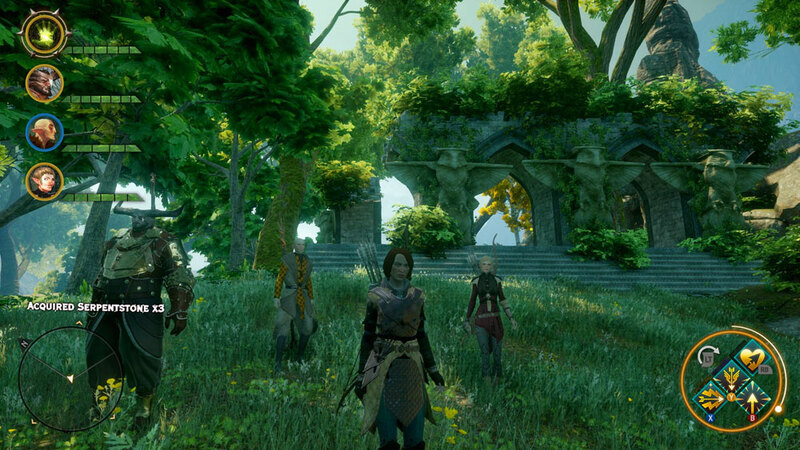 This game is a whole lot more than mere eye-candy. It is also a full-blown strategy game with depth on an absolutely epic scale. Be prepared to set a good amount of hours aside when you download this game, because it will hold you in its grip. You can find Match-3 games like sand on the beach but the ones that are the most fun are the ones that introduce new ideas in the gameplay and shake up the stale formula a little. 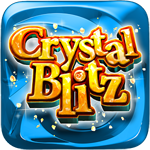 In this case, Ukrainian Developer Nika Entertainment has done just that, adding an actual game world to “Crystal Blitz,” that feels alive and gives the game a very distinctive feel. One that reminds me of a role-playing game, almost, without actually being one. The game is exceedingly well done and instantly grabbed my attention. When you see a tagline line that says “Collect them all!”, you are instantly reminded of Pokémon but as it turns out, “Runemals” has more in common with Gung-Ho’s “Puzzle & Dragons” than the Nintendo flagship. 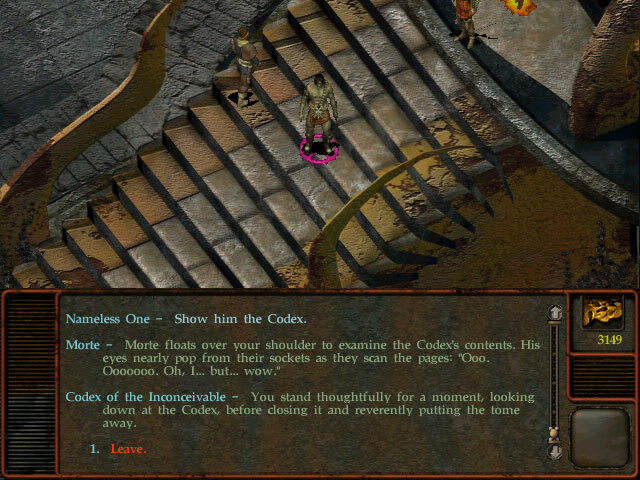 But then again, it has real turn-based RPG elements that make it unique and highly attractive. With its colorful graphics and the screen layout, it almost feels like a classic “Final Fantasy” and Match-3 mash up. Be that as it may, however, in the end, it is simply a lot of fun, and that is what really counts. 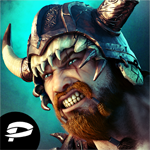 This fully fleshed-out 3D fantasy action game comes to you courtesy of Foursaken Media, and it does not mess around. 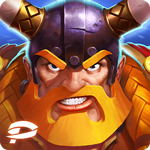 With massive battle scenes, “Heroes and Castles” is a tower defense/strategy/action game that will draw you in, whether you decide to play it in single-player or in the two-player mode. Plenty of advancements and hero types keep you busy as you build and control huge armies on the battlefields. The clash of titans has never been more fun. The graphic style was what initially drew me to this game but I soon realized that there’s more to it than just beautiful images. All that splendor comes at a price, though, and with 230MB, the game has a pretty big footprint and takes a while to download, but it’s well worth it. 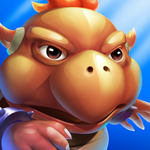 Featuring almost 400 different monsters for you to battle and collect, this game makes Pokémon look like continental breakfast, while “Monster Planet” dishes out a full dinner menu. Give it a try and lose yourself in its cool, scifi-fantasy world. 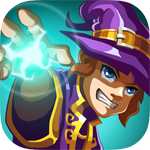 A role-playing game with a colorful, cartoony look, “Schools of Magic” focuses almost entirely on the magic users you typically find in role-playing games. 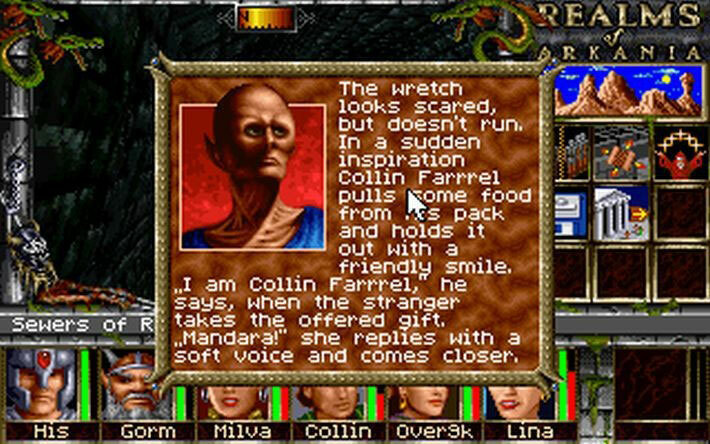 Never mind the sword-fodder like goblins and orcs, in this game, you will encounter wizards, necromancers, druids, priests, mages and the like, all ready to battle you. And if the storyline and campaigns the game provides aren’t enough for you any more, try the player-vs-player battle system that allows for virtually endless challenges. The game does have a few glitches, but once you get past that, you will find a truly rewarding experience. 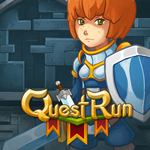 Lilith Mobile is a really interesting developer, and “Soul Hunters” is a great example, why. It is a classic Nintendo-style role-playing game but it has replaced the Japanese-style graphics with something that looks more like a contemporary casual game. 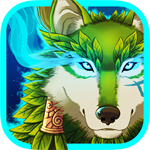 The result is a beautiful mesh of old and new, giving “Soul Hunters” a very fast-paced and modern feel while retaining the charm of classic console RPGs. 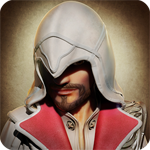 And to make things even cooler, the developer has just teamed up with Ubisoft, including Assassin Creed’s Ezio Auditore as a character in the game. Ooooh… goodie. 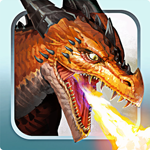 If you love dragons, you will love this game. 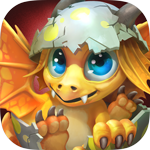 This is a spectacularly-looking real-time strategy game in which you control not only your citizens as you build a kingdom, but also the dragons that serve as attack forces. 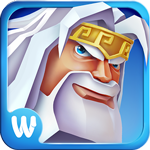 Fully realized in 3D, the game is not only fun to watch, but also quite a ride to play. 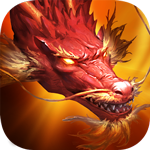 With over 100 different kinds of dragons, you won’t run out of variety anytime soon, and the multiplayer mode allows you to challenge players in the real world and lay waste to their domains. 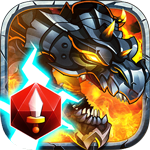 It is every bit as much fun as it sounds, and the spell effects alone make this game well worth checking out. This is a fascinating game that falls somewhere between experimental and traditional arcade shooter, and the result is… well, hypnotic is probably the best way to put it. Beautiful, otherworldly graphics complement the great gameplay that will want you to just keep going and going and going. As you drift through this ocean of color and eat the particles, your own organism will grow and, depending on what you eat, it will grow into different lifeforms. It is like the opening level of “Spore”, in a way, but much, much cooler and more organic, almost as if you’re observing life through a microscope. The well of overlooked games seems endless, and though there are way too many clones of successful games, I’ve come to realize that many of them tweak the established formulae and turn their own version into something fun and entertaining nonetheless. But the problem remains—visibility. It is a challenge that we at Gigataur are addressing with a two-pronged approach. The first is that we convert even a limited player base into measurable revenue, something that has so far been altogether impossible. 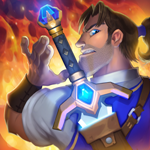 In addition, by establishing Playmium as a brand, we are able to cross-promote titles within the Playmium line of games, drive traffic to them and convert players into actual money. This is something that independent developers and publishers with small catalogs simply cannot achieve. So, what are you playing right now? Any games I should be checking out? If you’re a developer or publisher and you have a cool mobile game that you’d like me to consider for inclusion in our Playmium line of titles, feel free to send me an email at and I’ll be in touch with more details. 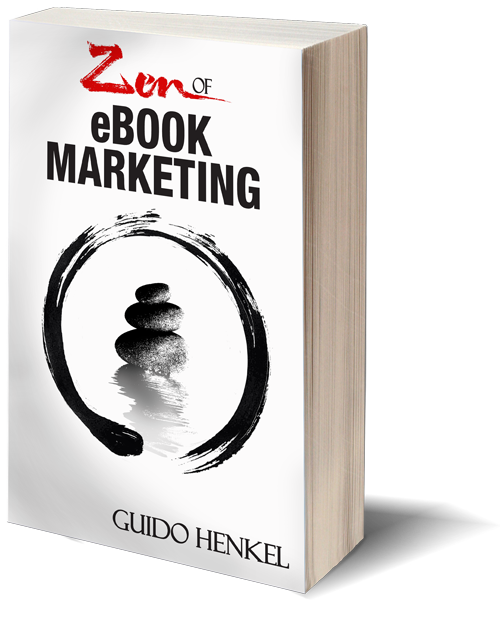 “Zen of eBook Marketing” hits #1 bestseller status! 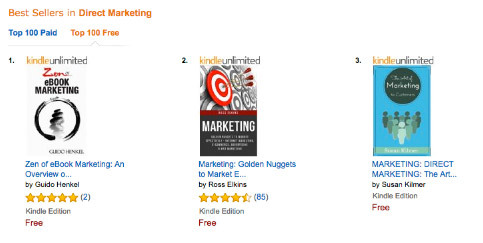 As I am writing this, “Zen of eBook Marketing” has just hit the #1 position in the paid “Direct Marketing” category on Amazon. After making #1 in the free “Direct Marketing” and the “Reference Book” category during the book’s launch, to now see it hit bestseller status in a paid category is very cool. 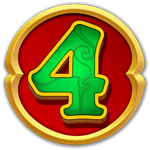 It is also #2 in another “Direct Marketing” category and if all goes well, it may even hit the top spot there. Here’s hoping! If you haven’t done so yet, please also make sure to leave a review for the book on Amazon. The more reviews the book has, the more it speaks to people, indicating that it is, indeed, a good choice and that they should pick up a copy. If you have not grabbed your copy yet, make sure to do so now. Could Amazon do better with the Kindle? The self-publishing process has matured significantly over the past eight years since I started, around the time when the Kindle first made an appearance. Information on the subject matter is more abundant and more readily available than ever while the tools to create books have also improved and become more widely available. However, as I prepared the launch of my new book “Zen of eBook Marketing” these past weeks, I realized that despite a general maturation, Amazon’s Kindle Direct Publishing program still shows some serious shortcomings. Issues, that have plagued the platform since its inception. As you may know, creating early exposure for an upcoming book is crucial for a successful launch. We all know that, and creating online promotions for books is an essential part of this process. It is here where, perhaps, the most glaring limitation in Amazon’s system manifests itself. The company offers no way for authors to reserve an ASIN ahead of time. Currently, the ASIN, Amazon’s own, unique product identifier, is assigned the moment a book is entering Amazon’s distribution system. That is, some time after you hit the “Publish” button. Unlike assigning an ASIN when a new Title is created in the KDP dashboard, this delayed assignment is an effective way for Amazon to prevent an excess of dead ASINs for books that are never actually published. On the flip side, however, for authors, it means that the ASIN becomes available only by the time the book is actually published. For the preparation of launch promotions, that is clearly too late. 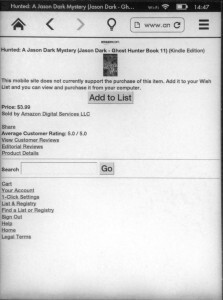 Ideally, Amazon should have a system in place through which authors can request and reserve ASINs for their books as soon as they create a new Title in their KDP dashboard. That way, authors could prepare final product links for dissemination in their launch and pre-launch materials. It would also give authors the opportunity to reserve online promotions on sites like Bookbub, etc., all of which require the ASIN to be available at the time of booking, typically weeks in advance. 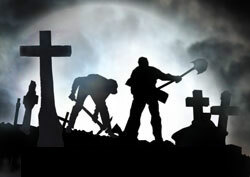 It creates a major roadblock for authors who wish to come out of the gates with their guns blazing. By the same token, after eight years of Kindle, Amazon still has no system in place that allows authors to properly present, link and sell their books from within a Kindle book. 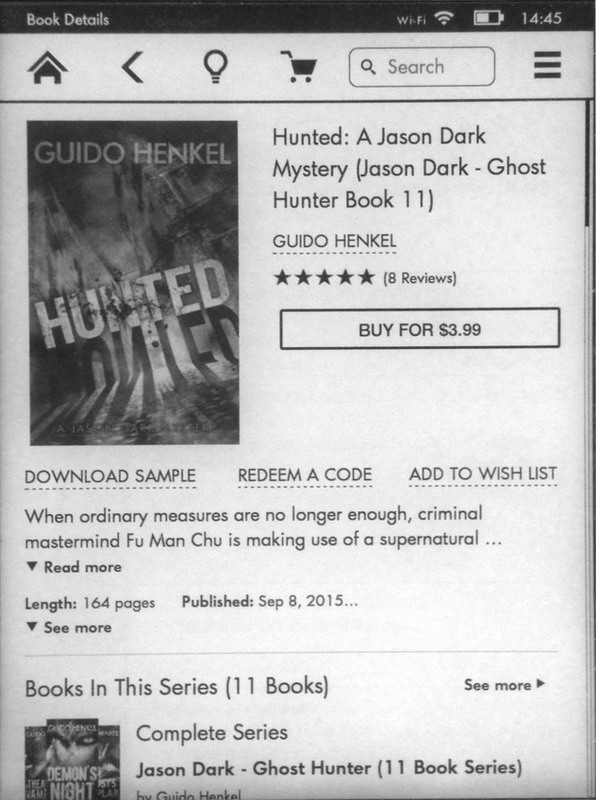 The Kindle has a special interface when you purchase books directly on the device. It is a lean product page that is tailored specifically for the device, making sure it is efficient and pleasing at the same time, as you can see from this screenshot. Access to these book pages is not available to authors in their ebooks, however. After eight years, they are still forced to link to the Amazon website if they wish to direct readers to their other books. The result is a cluttered and garbled display that is not nearly as presentable or efficient as the integrated store pages Amazon is using for its own on-device sales pages. As you can see from the following screenshot, things can get even worse. 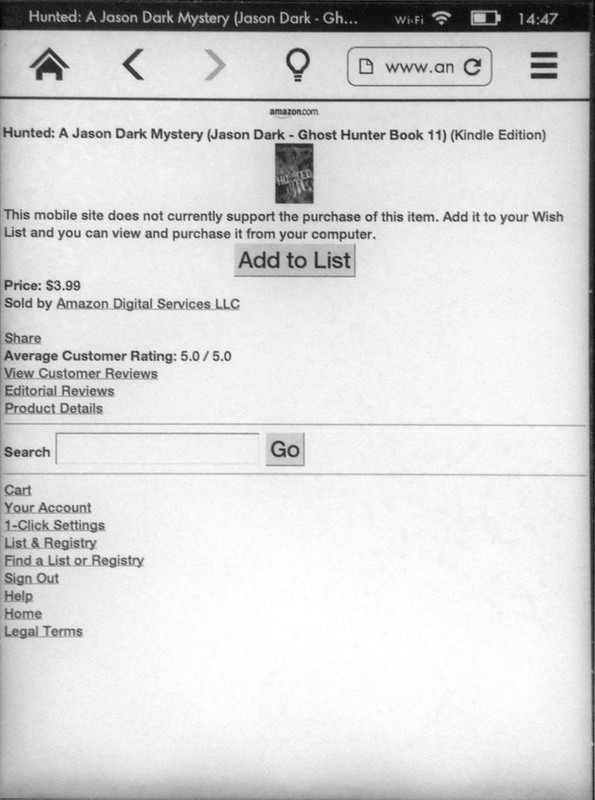 On some devices, access to a book’s web page is crippled to the point that it won’t even allow purchases of the book in question. For any author who had hoped to sell additional titles by promoting them in their books, this is a bare-handed slap in the face. Why is that? One would think it is in Amazon’s best interest to make the process of upselling books from within books as seamless as possible, and yet, despite repeated requests over the years, they have never taken the matter seriously. In fact, one could say that in the hunt for more gimmicky features, Amazon has completely ignored the core of the Kindle through the years, since the devices are still riddled with the most basic flaws and are still unable to properly handle even the most basic typography—not to mention that many of their software readers have been stuck in 2010 in terms of their technology and don’t support even the most basic Kindle features. Which takes us to the actual sales reporting. 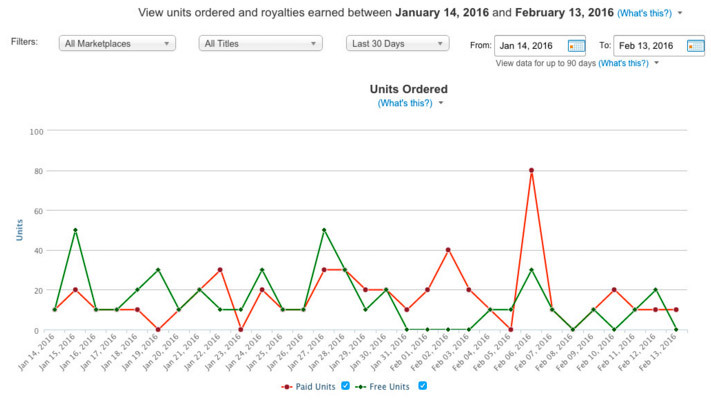 While Amazon tries to dazzle authors with a nice graph that represents daily sales, the reports they present are unmanageable in more ways than one. While one could live with the lack of any kind of metric that would give authors an indication who their readers are, the inability to properly isolate sales is a real problem—particularly for authors with more than three or four books. I have over 20 books on sale on Amazon and it is virtually impossible for me to see how well any one book performs. By default, the line graph represents only the accumulated sales of each day, which is good for trends, but useless for an actual analysis. Amazon allows me to filter the sales for each one of my books but it is an overly tedious process, forcing you to manually select each book from a drop-down menu and wait for the graph to refresh. Not only is this tedious, but it is also easy to simply lose your place once you have a certain number of titles in that list, and it makes comparisons impossible. A much better and more accessible way would be for Amazon to create checkboxes instead, that could be quickly selected. It would allow you to rapidly isolate a particular book’s sales chart, but more so, it would also allow to compare sales of books by selecting multiple books at the same time and layer their graphs. This would be very helpful when analyzing the performance of promotions or other marketing activities to see how they are reflected in the sales of each book or a group of books taken together. But not only the graphed report could use some serious rethinking, the “Month-to-Date Unit Sales” report is also frighteningly minimalistic. It is, in fact, no more than a list of unit sales, broken down by book with a drop-down menu that allows you to select different territories. That’s it! It’s 2016 and here we have Amazon, one of the largest aggregators of metrics, and all the information they allow authors to have is a list of units sold in a small, fixed time window. It does not include revenues. It does not allow you to change the time window. You want to know how many copies of a particular book you sold yesterday? No such luck, my friend. Bulk data only! You want to go back in your sales history and see how many books you sold during the last quarter? Think again. Amazon gives you access to only the current and the previous month. Quite frankly, the information is useless. Because of the time discrepancy, it is not even enough to properly corroborate your royalty payments against the sales reports! One can only dream of reports that would include information such as device usage, revenues, reader genders, purchase behavior, review behavior, properly exportable metrics, and perhaps even a few dollar numbers. One would expect to find the basics of sales reporting, however, in a report that allows you to properly filter and isolate specific sales information throughout a product’s entire history—or, at the very least, a 12 or 24-month window. I am certain Amazon has its reason for keeping authors completely in the dark, shackling them to the bare essentials of sales reporting, but to be honest, I don’t really see the point. By giving authors more detailed information, the company would empower them to optimize their efforts, which, in turn, could result in more sales and higher customer satisfaction. And isn’t that what Amazon is really after? Let me know what you think of these limitations, or which feature you would really like to see in Amazon’s reporting system. I certainly would have welcomed the promotional opportunities some of these features would have afforded me while preparing the launch of “Zen of eBook Marketing.” As it stands, I will have to invite you in person then to check it out… perhaps that’s not such a bad thing either. 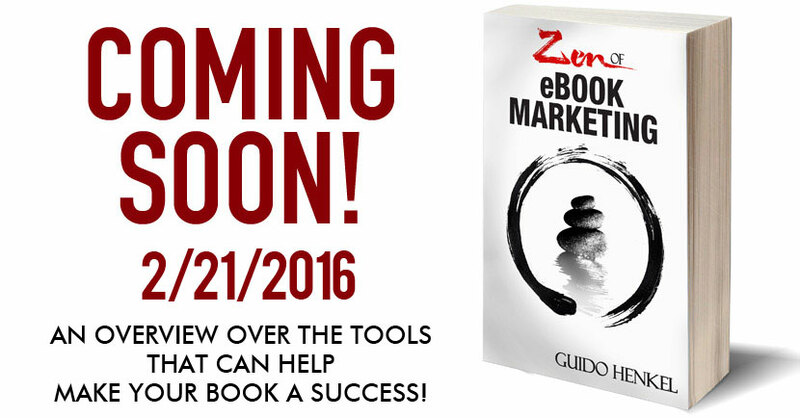 Zen of eBook Marketing is here! After months of toiling over the book, %%% % % % and after many weeks of editing, tweaking, correcting and expanding it, “Zen of eBook Marketing” is finally here for the entire world to see! Within less than 24 hours, the book already made it to #1 of the Top 100 bestsellers in its “Direct Marketing” category. For a limited time—until Tuesday, February 23rd, to be exact—you can grab the book for free on Amazon. It is my way of paying it forward, of saying Thank You for the many years of advice, suggestions, comments and help I have received through my readership and through so many fellow authors all over the Internet. I have poured the entire 8 years of experience I have gathered in the field of self-publishing books into “Zen of eBook Marketing” and I truly hope you will find some valuable information and ideas in there. Whether you are launching your first book or are a seasoned pro, form a solid foundation and understanding of the tools you can use to plan, build, and grow your author platform. Learn to avoid costly mistakes and find out what works and what doesn’t. What do you have to lose? Nothing is what; because the book is free until Tuesday! Go ahead, grab your copy, and if you found it helpful, please make sure to leave a short review on Amazon as well. It will help the book get noticed, and it will give other readers a solid understanding of the depth and breadth of content found in this book. 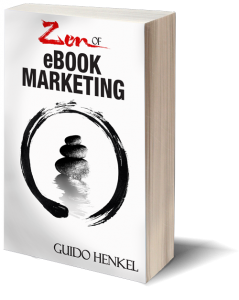 If you’re tired of glorified blog posts disguising as actual books, “Zen of eBook Marketing” is your one-stop destination. Brimming with over 50k words of content, tips, tricks, and ideas, the book easily pays for itself. Oh, hold on… it’s free! So, why are you still reading this? Go, get the dang book now! Once you grabbed a copy of the book, please be so kind as to leave a review on Amazon—if only as a token of “Thank You” for making the book available for free. After all, this is a 52k word book that took me months to write and tweak. My eternal gratitude will be yours—truly. And, don’t forget your friends! Please make sure to share news about the book and the fact that it is currently free with your social network. Tweet about it, put it on Facebook or Instagram, please. Anything you can do to help me raise awareness for the book will be welcome. For the past weeks, I’ve been slaving over the upcoming release of my book “Zen of eBook Formatting.” With the help of my beta-readers and friends, I’ve been able to clean up the book, tighten it up a good bit and rewrite a bunch of odd passages. It took much longer than I had anticipated, but I think it was all well worth it. So, with that in mind, I am once again on track for the book’s release on my projected February 21 release date, exclusively on Amazon. Now that the book is mostly edited and formatted, I’m in the process of preparing the additional materials, such as the description, a squeeze page, and other important launch stuff. If you want to stay in the loop as these things progress, make sure to sign up to my mailing list. There’s going to be an even bigger benefit, actually, if you sign up now. I’ll make sure you can get your hands on a free copy of the book before its official launch! Stop procrastinating! You have nothing to lose! The book is pretty cool and comprehensively covers the tools at the disposal of authors. It is brimming with 52,000 words of wisdom and my six-year experience as a self-published author. So, let me remind you once again. Sign up here and I’ll add you to my list of Very Important Readers! What do Alice Cooper and “The Doctor” have in common? 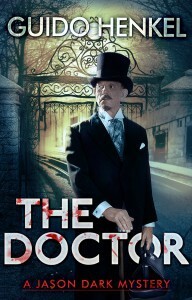 Those of you familiar with my book “The Doctor, %%% % % % ” or “Dr. Prometheus” as it was previously called, may already know the answer to it, but here’s a little background on my writing of the Jason Dark series. When I first set out to write the series one of the things I really wanted to include were historical and literary references to create a sense of alternate history rather than just plain gothic horror or supernatural thriller. At the same time I didn’t want to to make it too blatant. I aimed to place them so that they are oftentimes subtle little hints, evident only to the initiated, people familiar with certain periods of history, certain locales or certain pieces of literature or oftentimes even song lyrics. Yes, if you think you’ve spotted a loose reference to a Judas Priest song, you might be absolutely right… Lyrics like “The figure stands expressionless, impassive and alone” are just too powerful images to ignore and they conjure up worlds in my mind that I try to translate to my stories occasionally, giving a nod to the source with a few words that directly hint at their origins. 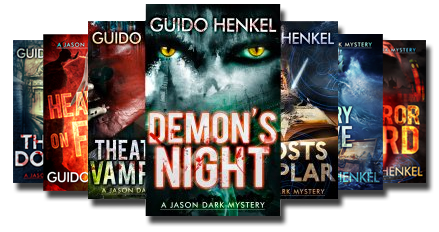 Assuming most of you are familiar with “Demon’s Night,” the first book in the series, I wonder how many of you remember what happened to the horse carriage the demon abandoned in Trafalgar Square. Do you? A man made a very brief appearance, taking care of the exhausted horses, leading them away, with the demon’s residue still lingering inside the coach. The man’s name was… John Netley. Who is he? Glad you asked, because John Netley was the man who allegedly drove Jack the Ripper through the streets of Whitechapel as he was hunting and killing women in 1888. See what I did there? I wove reality and fiction together in a way that is perfectly harmonious-at least it is to me-because the implications are just too perfect. First I had to do something with the horse carriage. I couldn’t just leave it abandoned in the square, so I needed someone to take care of them. Who better than a young man who would around that time become a coach driver and turn it into his business. With demonic residue still lingering in the coach, it is not too much of a leap of faith that it was this demonic influence that drove the Ripper to do his notorious deeds, and that turned the young man of a driver into a tool of evil, helping with the ghastly murders. It all fell into place and I was able to use the historical descriptions of the Ripper horse carriage to describe the one in my book. I love it when things fall into place like this and allow me to create seemingly insignificant moments-almost like throwaway paragraphs-that fit into a much bigger and elaborate picture. The books are full of them and the next time you read one of my books try to keep an eye out for these moments and references-and let me know when you spot one. Post here, and share your findings with other readers. So, what do Alice Cooper and “The Doctor” have in common? No doubt, you are still asking yourself that question. Even though completely anachronistic, Alice Cooper shows up in the book, but… yes, here comes the but, but before, let me tell you the why. I’ve been a fan of Alice’s work since I was an early teenager, more years ago that I’d like to admit. He’s always been a modern day gothic horror icon to me, the way Boris Karloff, Bela Lugosi, Christopher Lee, Peter Cushing, or Vincent Price were, because his theatrics have always been geared towards the creepy visuals. So, it made sense for me to pay homage to him, and I did. In the form of a corpse. Remember Alice has had many acts in his show where he hangs himself, or gets decapitated, etc, so having him as a corpse made perfect sense. But he is not just any corpse. He is undead, as the Doctor revives him with his evil magic. Pale and bare-chested, the bloodless corpse of a man lay on the operating table in the center of the room. His skin had an almost yellowish tinge. Unusually long black hair fell to the sides of his head in light, shaggy curls. The eyes, sunken deep into their sockets, looked already like the cavernous orifices of a skull. The body appeared intact, without notable scars; in fact, the dead man’s face had a rather peaceful look, despite the deep shadows cast by the murky, flickering light. Somewhere in the distance a church bell rang and, joining it in a midnight duet, a dog began to bark. What do you make of this? It’s only a small portion. The entire scene is filled with references to Alice Cooper and his music. Try to find them, and post them here. But what’s more, just to show you how dense some of these injected references are, even that small excerpt above contains yet another reference to something unrelated to Alice Cooper. I challenge you to find it. Tell me where the reference is and what it actually refers to. I wonder if anyone can spot it. Did you get a taste yet? Believe me when I say that the Jason Dark books are filled with these kinds of hidden nods, sometimes very openly, sometimes much more hidden. It is one of the small things that makes writing the stories so much fun for me. Well, then, who can solve the puzzle? What is the reference I mentioned in the passage above? I can’t wait to hear your thoughts and comments.